With a little more than 100 days to go, countries are gearing up for Ban Ki-moon’s New York climate summit, the first climate convention of world leaders since Copenhagen and a meeting that aims to catalyse new commitments and mobilise political will. It will also be the first time the new Chinese leadership steps onto the global climate stage, and its performance will doubtlessly be watched closely by observers. The climate “debut” of the Chinese leader – either president Xi Jinping or premier Li Keqiang is likely to attend – and the address he delivers at UN headquarters need careful preparation. First off, the Chinese government should commit either Xi or Li to attending and communicate the decision as soon as possible. Confirming which national leader is going will send a clear and strong signal to the global community that the new administration is focused on climate change. The New York summit also presents a valuable opportunity for China to elaborate on its recent domestic climate actions and to move them a step further. As Ban Ki-moon’s office briefed countries and observers last week in Bonn, the secretary-general expects “bold” and “forward looking” announcements from national leaders. 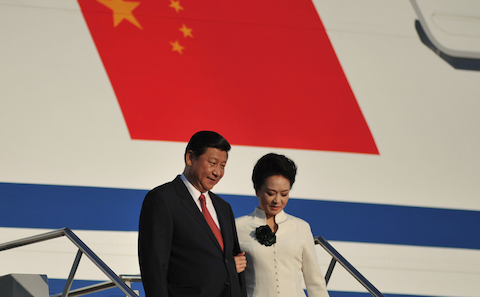 China is in a good position to take on his challenge and show leadership at the summit. Reinforcing China’s commitment to a global climate-change agreement in 2015, providing further clarity on near term domestic plans and bringing concrete, ambitious, and additional offers to the table should be three essential components of the package Xi or Li takes to New York. What might this look like more concretely? Firstly, following the decision made last year in Warsaw, the Chinese leadership should reaffirm its intention to communicate its “intended nationally determined contributions (INDC)” for the 2015 climate deal by the first quarter of next year. This will help build trust as the negotiation enters into the crucial final phase. In addition, it should outline the contours of the Chinese contribution and ensure that the offer will be both ambitious and equitable. Secondly, China’s leadership should aim to reach consensus on a number of key national climate questions ahead of the summit, and to include the agreed outcomes in the leader's speech. One outstanding case is China’s national climate-change legislation. Even with the various policy instruments put in place in the past few years, China still lacks the fundamental legal basis for climate action. With the right attention from the very top of government, consideration of the draft legislation could be prioritised. Whether it is Xi or Li delivering the UN statement in New York, he should consider hinting at a timeline for the legislative process. Another pressing element is China’s long term decarbonisation goal and the year it will peak its emissions. Such long term thinking has been missing in Chinese climate policy, but is urgently required. Here, indicative emission-reduction targets towards the middle of this century will deliver investment clarity and strengthen policy coherence. As for peak emissions, the government needs to realise that 2030 is a miserably late and unaffordable option. Developments such as rapid phasing out of coal and technology upgrades can change the equation substantially. These factors need to be considered in the search for a more progressive timeline for peaking. Meanwhile, China is also approaching the original deadline set for the pilot phase of its seven emission trading schemes (ETS). Late 2014 is the ideal window for setting out plans for Chinese carbon trading post-2015. All these issues are crucial to China’s domestic climate governance. They have also garnered significant international attention. A statement in New York that touches on these questions will both facilitate domestic action and help to build an image of China as a transparent and reliable global partner. Thirdly, China’s leaders should carefully ponder the question of how their offer at the summit can meet the UN secretary general’s demand for additional and ambitious action. Here, the newly declared war on air pollution opens a once-in-a-decade window for a drastic shift in energy policy. By April this year, 12 provinces, representing 44% of China’s coal consumption, had committed to coal-control measures, ranging from absolute consumption reduction, to zero growth, to reduced growth-rate targets. As 92% of Chinese cities failed to meet national air-quality standards in 2013, and coal consumption is the single largest source of air pollutants, robust measures to rein in coal burning must rapidly expand to broader regions. This will not only alleviate Chinese cities from heavy haze, but also move China’s emissions very close to the limits required to keep global warming within 2 degrees Celsius, according to Greenpeace’s analysis. China’s representative in New York should therefore bring new provincial coal reduction targets with them and pledge to shift the country away from its unsustainable coal-dependent path in the upcoming 13th Five-Year Plan (2016-2020). The international impact of a Chinese offer on coal would be immense. In his UN speech, president Obama is likely to refer to the new US power-plant rule, which directly affects prospects for coal in the US energy portfolio. He and heads of national and multilateral development banks could also be expected to mention cutting finance for overseas coal projects. If a collective moment to declare war on coal could be orchestrated, it would not only serve China’s domestic policy agenda but benefit the global effort to phase out the dirtiest fossil fuel.